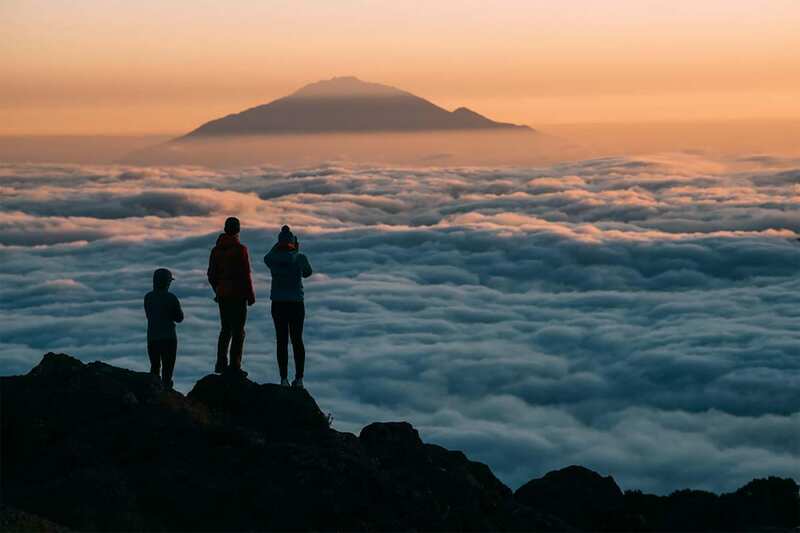 Approaching legendary Kilimanjaro from the south-west, we take the popular Machame Route, with a total trip time of nine days, thus giving us even more acclimatization time and an even better chance of reaching the summit. 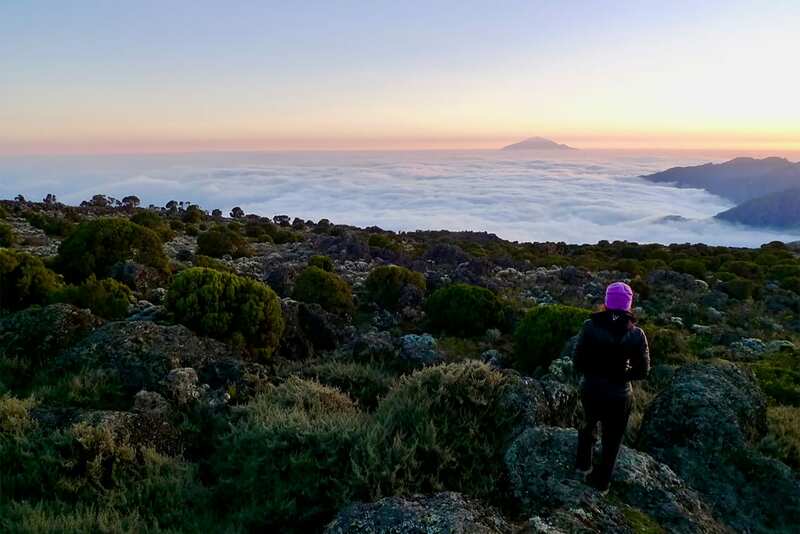 Lush rainforest and Alpine moorland characterize the Machame Route, a trek which is challenging, make no mistake, despite the extra time given to acclimatize. You will have a private vehicle to take you to and from the mountain. 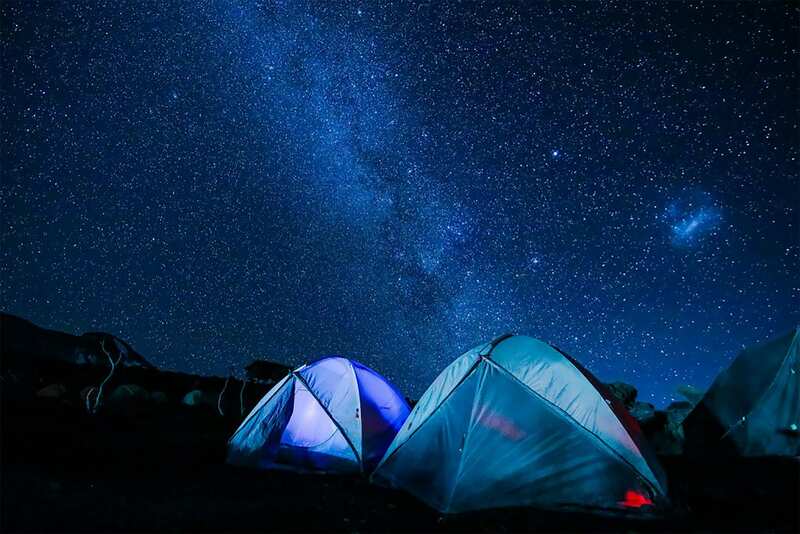 Accommodation on the mountain on this ‘Basic’ category trip will be in tented camps – a true adventure. A more relaxed pace than other routes, but longer in time and distance. But very challenging! Dedicated guides, porters and cooks – a great team to help you on your way. After an early breakfast (07.00), we leave the hotel one hour later to arrive at the Machame Gate for around 10.00, passing en-route the house of the village chief. We arrive ready for registration and the start of our trek. Excitement builds as the porters load up equipment and you meet the trekking team who will accompany you up the mountain. 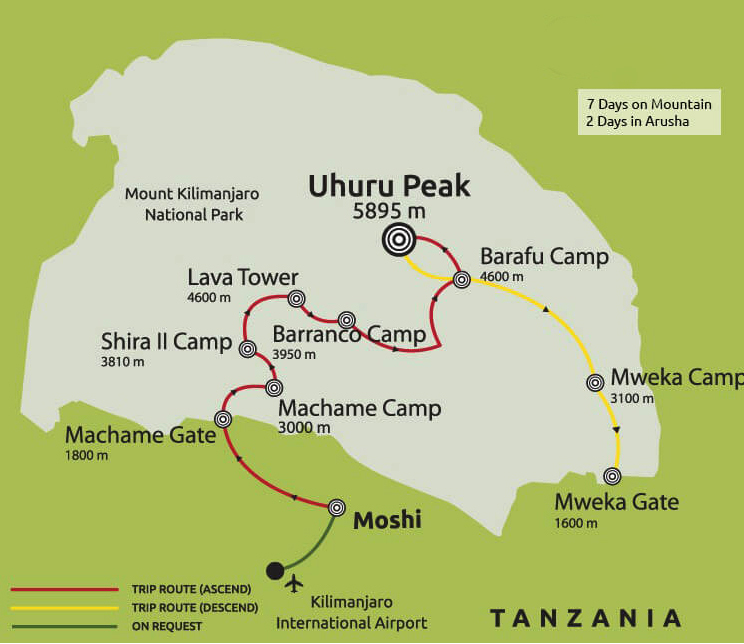 The Machame-Mweka Route (normally just referred to as the Machame Route) approaches from the mountain’s south-western side. 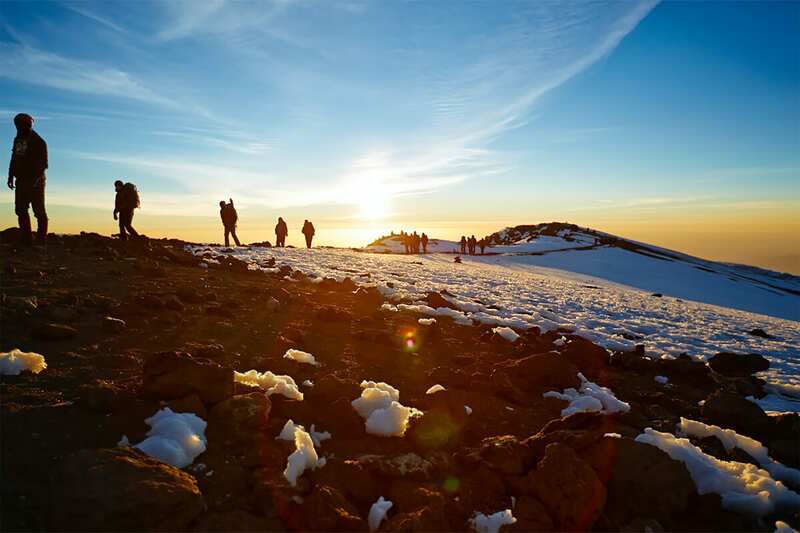 Your first day of walking, starting at an altitude of 1800 metres, will end at a height of over 3000 metres, cover a distance of 11 km and take around 4.5 to 5 hours of actual walking time. The beginning of today’s walk is characterised by a wide track that winds its way up through dense forest, beautiful tall trees laden with green moss. As the route becomes steeper and narrower, so the vegetation changes and the appearance of flowers such as impatiens kilimanjari and impatiens pseudoviola introduce some bright colours to the scenery. The cloud forest trees can reach over 25 metres in height. A picnic lunch is enjoyed around 13.00, water bottles can be refilled and then our walk continues. The emblematic giant heathers appear as you reach heathland and the forest thins out. 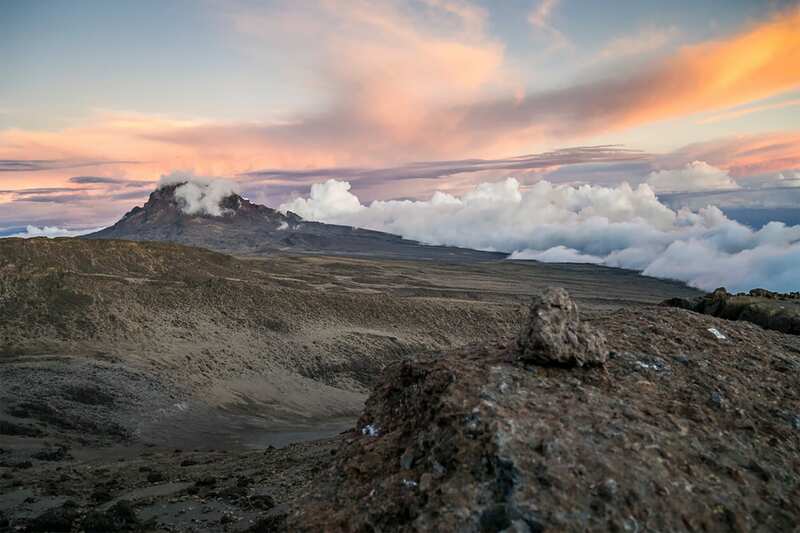 You get your first glimpse of Kibo peak. 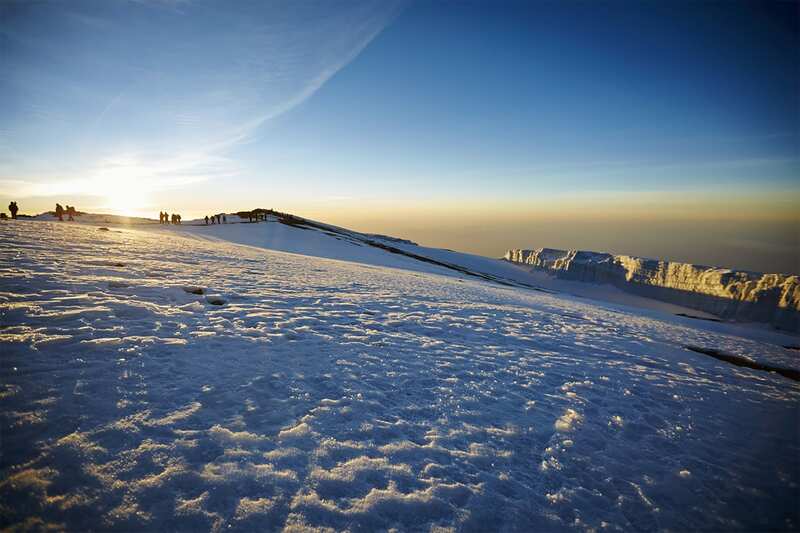 Machame Camp is reached at around 17.00. You will be surprised by the richness of the birdlife here. Dinner is served at 19.30. Today we breakfast slightly later (07.30) and our walk is short, being only 4km but still taking between 3.5 and 4 hours of walking time. Our departure time today will be 08.30 and we will enjoy a hot lunch at 13.00 at Karanga and have the afternoon to enjoy the views before dinner at 18.00. Our altitude gain today is only 160 metres. 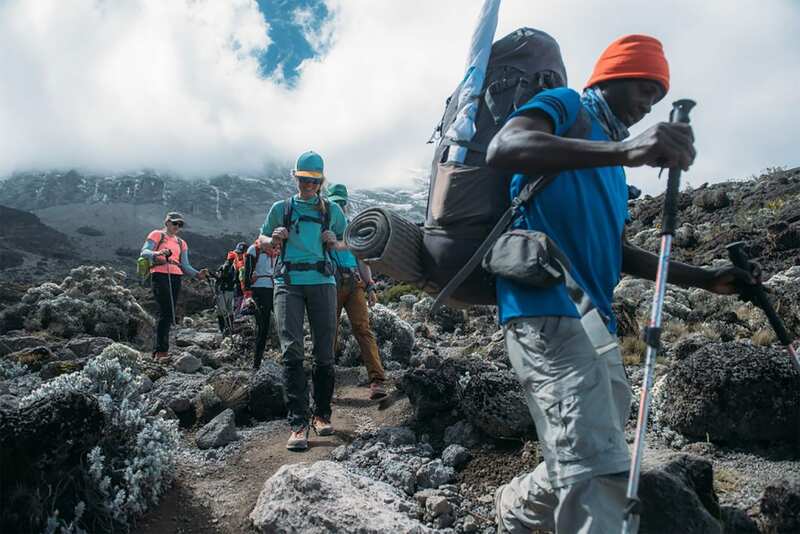 At the beginning, we encounter the hardest part of today’s stage as we have to scramble up the near-vertical face of the Barranco Wall (also commonly referred to as the ‘Breakfast Wall’ as you tackle it right after your breakfast!). At the top of this climb, you will be rewarded with views of the Heim Glacier. After this, the rest of today’s walk becomes a bit easier as we first descend to the gully below, and into the cold but beautiful Karanga Valley. 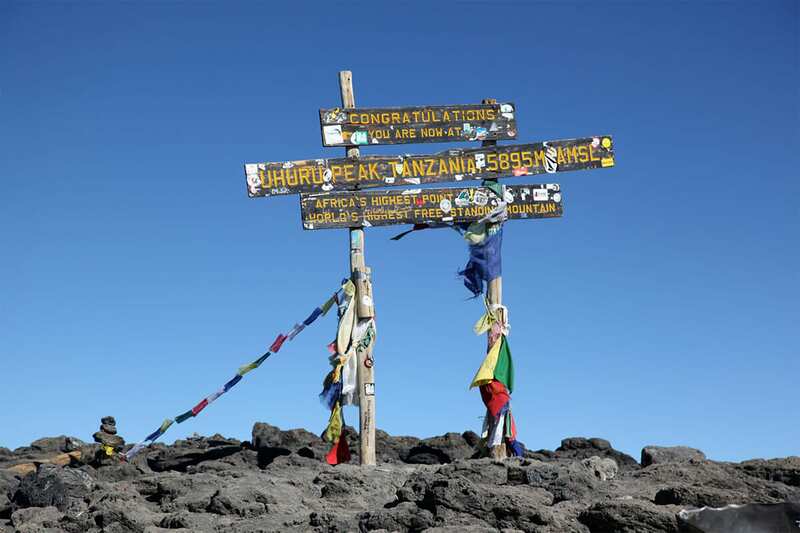 We then continue and finally climb up a steep series of zig-zags until reaching the Karanga Camp. Another short day -in terms of distance – begins with our breakfast at the camp at 07.30 and another 08.30 departure. Today we will ascend about 500 metres in a distance of around 5km and walking time once again is between 3.5 and 4 hours. We will be aiming to arrive the Barafu Camp by 13.00, when we will be rewarded with a hot lunch. (With tomorrow being the summit day, it will be important to relax and prepare for the hard work ahead.) Dinner tonight is served at 17.30, giving you time to get to bed early. After leaving Karanga, today’s stage climbs steadily, passing through barren, rocky landscape, with the Decken and Kersten glaciers visible away to your left. At the top of the climb, the landscape remains bleak as you descend into a valley and you get your first sight of another glacier, Rebmann. 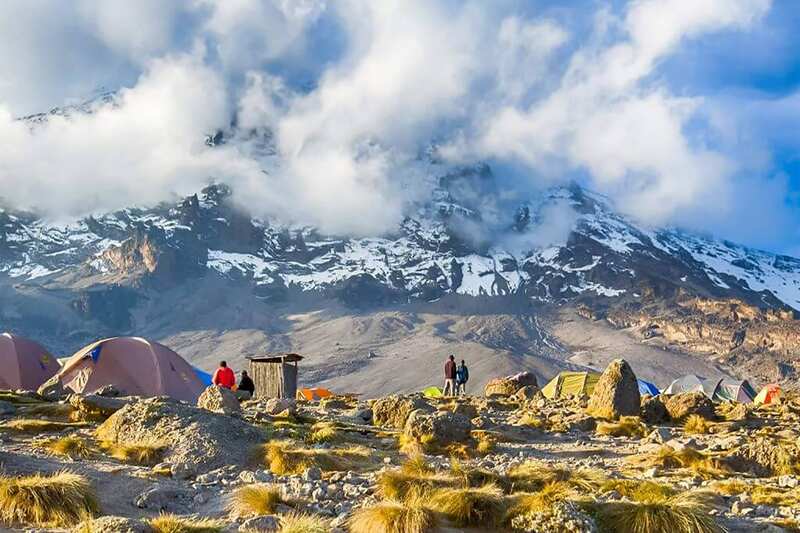 At the end of this valley is today’s goal, the Barafu Camp, at which you arrive after a short, steep scramble and a walk. 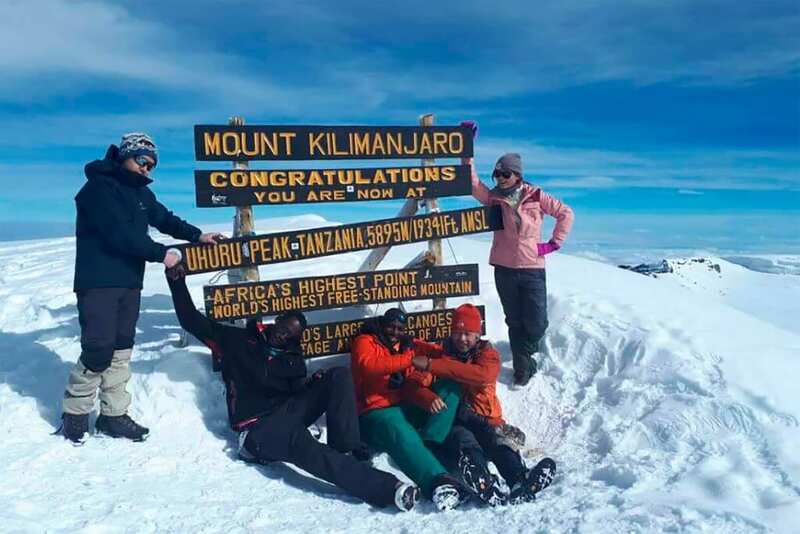 Still thrilled by your achievement, breakfast is taken at 07.00 and at 08.00 you can take the chance to reward your trekking team at the ‘Tipping Celebration.’ Departure is at 09.00 and you descend down to Mweka Gate at an altitude of 1640 metres, where you will be served a hot lunch at midday and be presented with your hard-earned certificate. Your transport will be waiting to return you back to Planet Lodge in Arusha, where you can choose to relax – or celebrate! After a good night’s rest at your lodge, you will take breakfast ready for the scheduled check-out by 10.00. (If you wish to remain in the hotel during the day, please advise us of this when you book your trip and we will inform you of the cost for day room which ends at 18:00hrs, and then make the booking on your behalf.) If you have booked a transfer to the airport, you will be collected from your hotel and dropped off at the airport. For those travelers who have booked to go on safari, our guide will be meeting you in the evening to provide you with a briefing.